Pregnancy is a beautiful time when with excitement you are waiting for arrival of your baby, but it is also a time of many hormonal and postural changes in your body. Pregnancy massage is a gentle, relaxing massage that can be used safely throughout the second and third trimesters of pregnancy. It is done in side lying / sitting position with the use of massage lotion or oil and support of extra pillows, towels and bolsters. Before booking an appointment please contact me for a free over the phone consultation to exclude any possibility of contraindications. If there is a high risk pregnancy you will be required to obtain GP/midwife consent before receiving a massage treatment. Couple weeks before your labour is due I also offer an appointment for you and your birth partner with advice on active labour, natural pain relief and massage techniques during labour. Massage helps to alleviate muscular discomfort, especially around the back, hips, neck and shoulders. Massage boosts the circulation helping to bring vital nutrients and oxygen to the muscles. Massage increases blood and lymph flow, which can help increase the elimination of toxins through the circulatory and lymphatic systems, therefore it can help with swollen limbs. Massage can help with sluggish digestive system. It can help to assist with the management of digestive complains such as constipation, gas, nausea and indigestion. 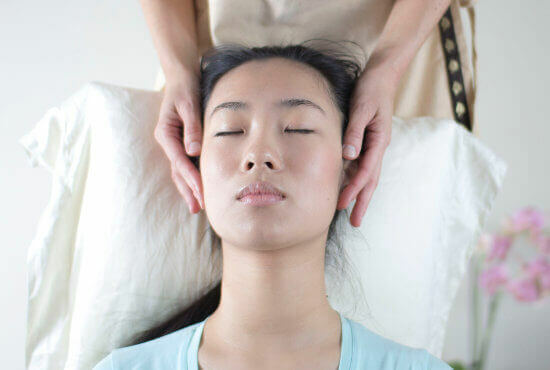 Massage can help reduce headaches and ease sinus congestion. Massaging the muscles around upper chest and rib cage can also benefit in the respiratory system and aid restricted breathing. By combating tension, fatigue and stress – massage can help with insomnia. Massage during pregnancy may reduce stretch marks by aiding skin elasticity. Massage also helps to release prolactin hormone, which prepares the body for breast feeding by stimulating milk production. Touch helps to reassure and lessen anxiety levels. Massage can enhance your relationship with your body by keeping you connected and in touch with your changing shape.